2 reasons to run quiet pipes: first, respect for those around you, and second, the cops won't hear you when you go by. Back in the mid-1970s, I raced a Yamaha TD-3, a 250cc Grand Prix type bike. Mufflers for racing bikes were just starting to appear, but I was skeptical of them. However, one day when I came onto the front straight at Nelson Ledges, Ohio, and another Yamaha 250, much quieter because of the mufflers on the ends of its expansion chambers, motored past, picking up speed on me by the second, I realized that mufflers don't always make a bike slower. Later, by experimenting on my street bikes, I found that the rate of exhaust flow through the mufflers could be improved without making them any louder. There might be a subtle change in the sound, but most people didn't notice that. They did notice me leaving them behind, though. At this time, there are 3 models of SL-1200s available: the two Grand Class models, the 1200G and its stripped-down brother the 1200GR, and most recently the 1200MK7. The G models are definitely hi-fi turntables, but the MK7 is a different story. That may be the one you're thinking of. One review described the MK7 as looking like a cheap knock-off of an SL-1200, rather than an actual Technics turntable. The reviewer was clearly not impressed. I haven't seen the MK7, but I've seen the SL-1200GR, and it looks just a bit cheap to me, especially when compared with my SL-1210M5G. So if I was in the market for a new turntable, the SL-1200G (or a 1210G. I prefer the black colour) would be the one I'd want. The MK7 wouldn't even be considered. There's been a lot of grumbling and complaining in DJ circles about the prices of the new turntables. Spoiled by literally decades of low-priced SL-1200s, for which the tooling and engineering was pretty much amortized by maybe 2000 or so, they feel that the new turntables are some kind of rip-off, apparently not realizing that the re-design, with new parts produced by new engineering and tooling, was quite expensive. They'd like to see the all-new deck selling for under $1000, preferably way under. Maybe that's why Technics released the budget-styled MK7. It's the only one they promote as a DJ deck, and it has features of interest mainly to DJs and turntablists, like reverse play..
Actually, my comments were directed to Arkytype, who was the person who used the phrase "deceptive advertising". He seems to have started the wagon rolling, and some others have jumped on. What's the point in debating over how the length of the Klipschorn bass horn is calculated? Do you think you know more about it than Chief Bonehead? The K-horn gets the job done, as it has for over 70 years. Suggesting that the top engineer, the person who comes up with the improvements to the classic design, may be doing something deceptive in the description of the horn is pretty rude. Saying you're not clear on how the measurement is arrived at would be one thing, and it seems to be exactly what's going on here, but to suggest that there may be "deceptive advertising" taking place makes it look like it might be a great idea to think things through before making accusations like that. The length of the bass horn is what it is. What would be the use of describing it incorrectly? It wouldn't change the performance of the horn or of the whole speaker. The K-horn's performance has improved over the decades, with minimal changes to the cabinet, other than the closed back. There has never been a change of roughly two feet in the bass horn length, so it's clear that you're not clear on how the length is measured. You’ve got a point there, but Stereophile put a Klipsch speaker on their front cover last month, as well as giving it a great review. Did Klipsch place a big ad in that issue? Anyway, it’s their job to report on interesting or important developments or events, regardless of whether the entity involved is an ad client of theirs. Some magazines may work that way, but to me they’d be doing a poor job. Your opinion may differ. Well, that’s poor audio journalism. 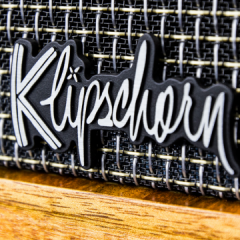 Did Stereophile mention Klipsch? Speaking of audio magazines, are TAS and Stereophile the top US audio mags these days? What other choices are there? Sound and Vision and some of the other home entertainment magazines seem to be more about home theatre than high performance audio, and the British magazines are oversized, overpriced, and feature lots of brands of gear that we never see or hear about over here, which makes the mag less relevant to most of us. Here on Vancouver Island, the biggest hazard in the woods would be a bear or cougar, but it would be unlikely for anyone to have a gun. Most likely, the cougars would be scared away by the noise, and the bears would be put off by the fire. It might be dangerous if there were no fire, everyone was unconscious, and we’d all passed out while eating hot dogs or hamburgers. Hmm, that must have happened quite a number of times here already, but no news of a bear attending a drunken partier buffet so far. I’ve got something similar to that. It’s just called a “Bluetooth Party Speaker”. It’s a lenticular plastic dome about 18cm/7 inches in diameter, with rotating coloured LEDs inside, so it throws coloured light beams all around the room. It really livens up a party! It also has two little speakers in it, an FM radio, and Bluetooth connectivity, so you can drive it from your phone or any other Bluetooth-enabled device. It was on sale at The Source, a popular chain of electronic gear shops, so it was an irresistible deal. I’m planning to take pictures of the system’s latest configuration pretty soon. A sunny day will help the lighting, so it shouldn’t be long now. A Color Organ? Wow, that takes me back! They were kind of popular in the early-to-mid-Seventies. I even saw a smaller one in a car once, under the dashboard. Maybe it helped set the mood during makeout sessions (we were barely out of our teens then, lol). The modern equivalent might be the "Visualizer" programs that run on some phones when they're playing music. You get a choice of colours and swirling patterns or rectangular designs. They're sort of cool. Isn't pipe insulation usually made of closed-cell neoprene? Whenever I see those kind of round horns, I think they'd sound best in a round room, and not the kind with a flat floor, no, just front and rear flat walls, with the rest round like a hamster wheel, or like the exercise module in 2001: A Space Odyssey. The rectangular Klipsch horns seem much more logical, since most rooms are rectangular in every axis.